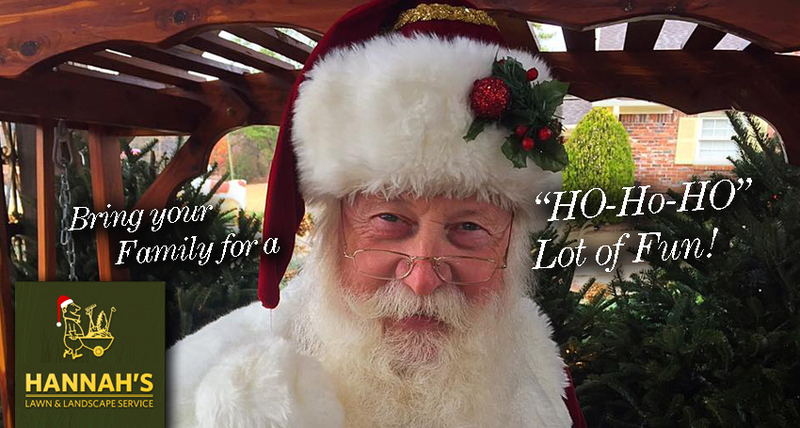 Hannah's Landscaping » A “HO-ho-HO” Lot of Fun with Santa! A “HO-ho-HO” Lot of Fun with Santa! Bring your family for a “HO-Ho-HO” lot of fun! This Saturday (12/2/17) from 12:30 pm to 3:30 pm, your family can visit with Santa, the Jolly Ole’ Elf, at Hannah’s Garden Center! While you’re here let the little ones help you pick out a Frazier Fir tree or Wreath or check out our huge selection of Poinsettias to add some color to your season. We guarantee your little elves will get into the Christmas spirit! For more information call us Toll Free at (877) 773-7391 or call our Garden Center direct at (256) 502-9989. All of this excitement is happening at 1302 Highway 31 NW in Hartselle, Alabama. Don’t miss out!